Picture this: It is mid April 2010. I am very pregnant and ready to have a baby at any time. My husband and I found that we needed a new car, and we needed it right now! We spent several days shopping for the perfect car for our family when a maroon Kia caught my eye. This was the car, the car we needed and that I wanted. End of story right? 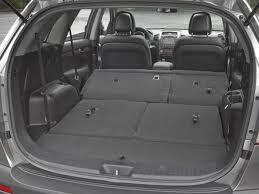 After very little hesitation my husband (Adam) agreed and we bought the Kia, and we took it home to install a car seat! The Kia Spectra has been the perfect little car for all of my outings, it gets great gas mileage and it runs like a dream. I have needed next to no repairs on it in the 3 + years it has been a part of the family. It is dependable, it looks great and we can always count on the Kia for our needs of transportation. Now this little family is about to get a +1. Our daughter is due in a matter of weeks and we realize... it is time for another car. We need something a little bigger to accommodate the growing needs of our family. My husband and I have been so happy with the Kia Spectra we are not even considering any other brand of car. We want another Kia and this time we have our eye on the roomy and visually appealing Kia Sorento. Look at all this room! It will definitely hold everything required to travel with kids. 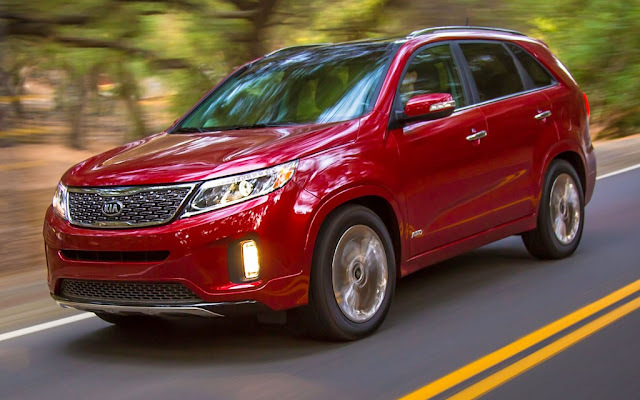 We have been shopping around for a great deal on the Kia of our dreams, as we would love to have the first moments with a Sorento like we did with the Spectra. Installing the car seat, the ride home from the hospital, the first trip out together as a family. Not of 3, but of 4. I know I can count on Kia to offer a dependable vehicle that is built to last no matter how our lives change. I wouldn't consider buying any other vehicle after owning a Kia for several years.